† Divine Liturgy: 10:00 a.m.
† The Office of Holy Unction: 6:30 p.m.
April 25—Great and Holy Thursday. † Vespral Divine Liturgy: 9:30 a.m.
† Matins (Strasti—Passions): 6:30 p.m.
April 26—Great and Holy Friday. prepaing the tomb: 9:00 a.m.
† Vespers (Plashchanytsia): 6:30 p.m.
April 27—Great and Holy Saturday. 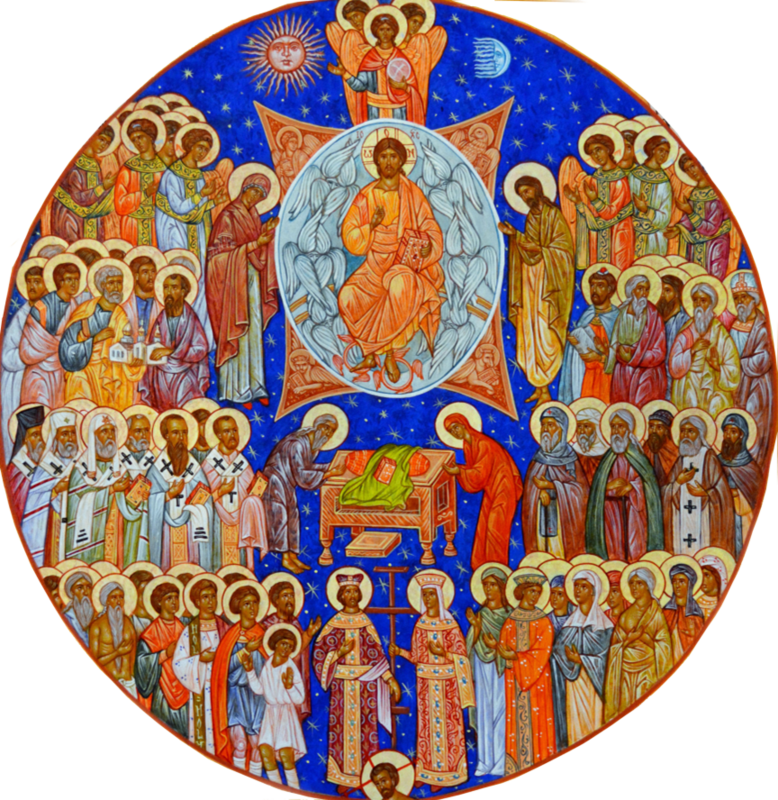 † Vesperal Divine Liturgy: 9:30 a.m.
† Acts of the Apostles: 8:30 p.m.
Paschal services: beginning at 7 a.m.
† Divine Liturgy: 9:30 a.m.
April 30 — Bright Tuesday. Jn. 12:17-50; Ez. 2:3-3:3; Ex. 2:11-22; Job 2:1-10; Mt. 26:6-16. Lk. 22:1-39; Jer. 11:18-23, 12:1-5, 9-11, 14-15; Ex. 19:10-19; Job 38: 1-23, 42:1-5; Is. 50:4-11; 1 Cor. 11:23-32; (composite): Mt. 26:1-20,Jn. 13:3-17, Mt. 26:21-39, Lk. 22:43-45, Mt. 26:40-27:2. 1 Cor. 1:18-2:2; Composite: Mt. 27:1-38; Lk. 23:39-43; Mt. 27:39-54; Jn. 19:31-37; Mt. 27:55-61.